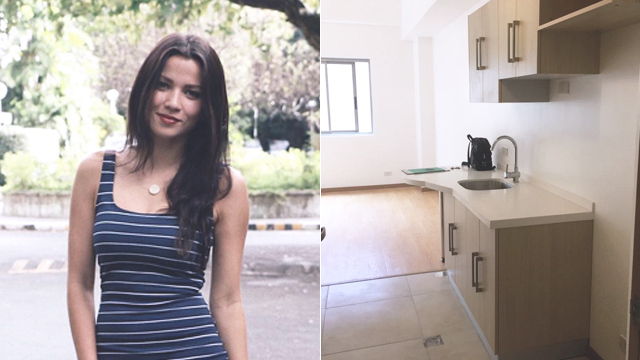 Julia Quisumbing, a model/entrepreneur bought a property in Baguio that was set to take two years before it finished, she truly took a risk. She pursued her business without hesitation, and later reaped the reward that was more than what she expected. “Modeling gave me a great income with a lot of freedom. The only problem was that I never knew how much I would make every month. That lack of stability drove me crazy. I decided to put all of my income into an investment,” Julia said. Julia started to ask other people about how they manage to produced passive income through businesses. After some time, she realized that traditional business wasn’t for her. So, she sought out other methods to compensate for that gap and still provide monthly income. After asking dozens of people, Julia finally decided to buy a pre-selling condominium unit in Baguio worth PHP3 million in the early days of 2015. She didn’t have much capital. But, she was able to afford the downpayment to pay for the unit, thanks to the commercial she did before. After that she then spent the next two years paying for the monthly amortization of her unit. “I had two years to save enough money to pay the exceeding amount. The way I saw it was I put all of my money in a bank (the condo), the property was my asset, and I could have a stable monthly income by renting it out,” she shared to Female Network. Pre-selling properties carry a particular amount of risk when investing in real estate. But, every risk can be regulated when you do your homework. Before Julia invested her hard-earned cash in the said property, she rigorously researched about the developer and their projects first before laying down her money. After days of researching, Julia decided to visit the project in Baguio. The first time that Julia saw the facade of the building, she was mesmerized, quoting that it was “beautiful, modern, large and clean,” the perfect property for Julia’s taste. Not only that, but it was also very accessible and is very near to public transportation. “I was so happy that I trusted my gut to get the place, even though a lot of people wondered why I chose Baguio; somewhere I rarely go. Honestly, it was just because I was young, inexperienced, and needed a better deal,” she shared to Female Network. After analyzing what should be changed and what shouldn’t. Julia began a major interior renovation which cost an estimated amount of PHP100,000. As of now, Julia is happily making around PHP40,000-PHP50,000 a month through rent. When it comes to her professional life, she is now in the process of facing the challenges of a media host as well as preparing for her journey in the business world by becoming an entrepreneur. According to Julia, it’s not always a real treat to work with Airbnb. There are a few challenges and rising problems every now and then—like maintaining the unit’s cleanliness after a client leaves, hoping for great response rate. Also, one must always provide outstanding tenant service no matter how rude or kind the people are. Julia described it as a roller coaster ride, but luckily, after some time it’s easy to get the hang of it and lay back while making money work for you. She says that there will always be both good and bad experiences in the renting industry. But, she did learn a lot of valuable lessons along the ways such as being extremely patient, staying calm in front of a crisis and most importantly, learning to solve any problem with a clear and reasonable mind. “Airbnb is a great way of earning income through property if you’re an organized persona and you already have a proven system for easier negotiations,” Julia said. Julia’s take on customer service is the reason why she always has tenants. “I spend very little of my day doing things for Airbnb because I organize things in advance,”she shared to Female Network. “During their stay, I only check on them once because I want them to have their privacy. If my current guest is happy and I am booked for the rest of the month, that means I don’t have to do anything for weeks since I accomplished everything in advance. One of the things that she really liked about the application is that she never had to meet her clients personally, her business was processed and maintained by her mobile phone, even when she travels to abroad. She plans to buy more condominium units and rent it out through Airbnb for passive income. After that she also plans to launch another business, but for now she wants to keep it as a surprise. When asked about how her first investment affected her financial life, she opted to answer it in a very brief but meaningful way.